Hysterical! 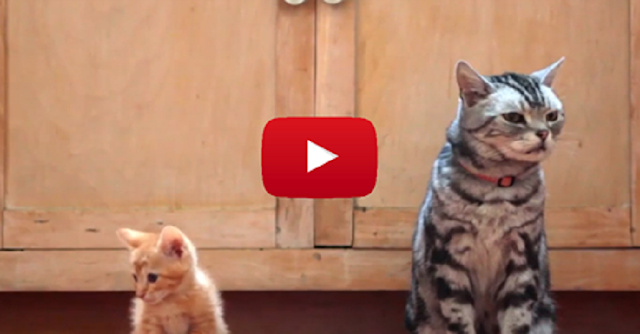 This Cat Teaches A Young Kitten A VERY Valuable Lesson. I'm Cracking Up! When a new kitten arrives, there is always an adjustment period if there is an older cat. Sometimes they get along, sometimes they don’t. But in this hilarious video, one older cat has finally accepted the little kitten, and has some advice for him about daily life! My favorite part has got to be when he talks about the dreaded “Vac-um”! If you can imagine your cats having this same kind of conversation, please SHARE!